Recently I received video of what appeared to be a snow leopard in Kamdesh District, Nuristan Province, Afghanistan taken by a young sergeant in the US Army. 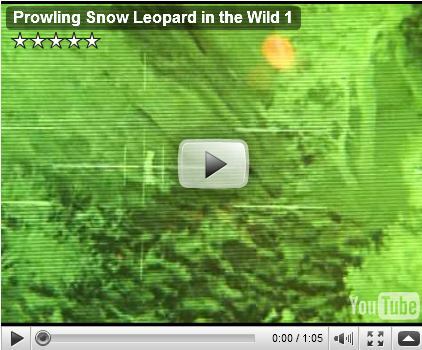 Several experts kindly commented their opinions through the Snow Leopard Network and my Blog, some thought it was a snow leopard and others raised the question as to whether it was another animal. Today Tom McCarthy, Ph.D. and Director of Snow Leopard Programs, PANTHERA, and George Schaller (world’s leading expert on snow leopards!) have established that it’s a yellow-throated marten and not a snow leopard. Y a s h V e e r B h a t n a g a r, P h. D. and Director, Snow Leopard Trust-India also suggested it wasn’t a snow leopard and he was right too. Those of us with less experience but a lot of passion to conserve this beautiful animal were (and are) obviously hoping for evidence that snow leopards are surviving in this war zone. Thanks also to Carl for looking out for snow leopards and wanting to be active in their conservation. We hope one day people in the field like him may see many snow leopards in this region if our conservation efforts can be successful.